The lovely end window of the north transept has the ball flower ornament typical of the period on the rere arch. Services take place each Sunday alternating with Charlton Adam Church. The first Sunday is 9.30am Holy Communion, Second Sunday 9.30 am Healing Service, Third Sunday is 9,30am Holy Communion and the Fourth Sunday The All Age Service is held in the Reading Room in Charlton Mackrell we regularly have a "Benefice Together Holy Communion" around the churches in the Benefice.On the second Tuesday of the month we meet for Worship and Praise in the Reading Room. 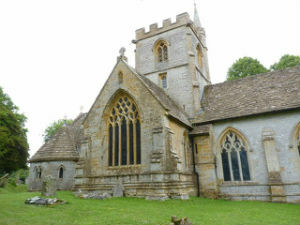 Our other regular church activities include The Benefice Rock Activity Church (for children and their parents), a monthly Village Cafe, regular bell ringing, choir and prayer group. We have strong links with the local school who hold regular services in church.